Up Down Round – Gale McGarry | The Frame Gallery. For framing, art, sculpture & gifts. Up Down Round by Gale McGarry. 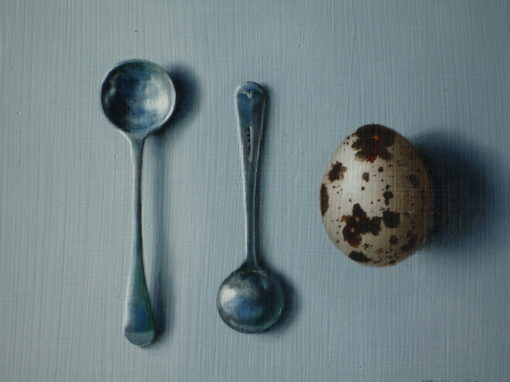 Framed original oil painting, image size 8 x 10 inches ‘Traditional with a Contemporary Twist!’ Gale McGarry is a self-taught realist artist painting in oils using traditional techniques. 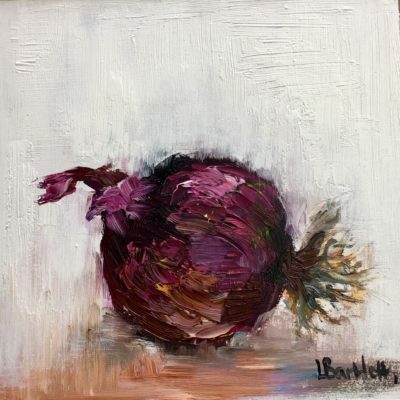 She specialises in still life and portraits. Her style is unique and cannot be neatly categorised – it is both modern and traditional, realist and surreal, contemporary and classical. Gale is currently working on a number of different themes, which are reflected in her most recent pieces. These include intricately observed portraits of domestic items such as vintage cutlery, fruit, eggs and sewing accessories, and, more recently, coastal finds such as pebbles, shells and seaweed. Gale’s other main theme is portraits, which she paints in traditional style. Her formal and informal portraits beautifully capture the faces and characters of her subjects. 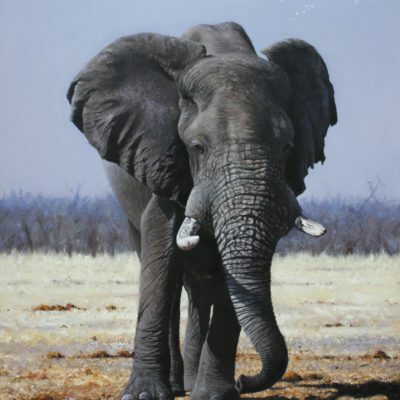 She has painted commissioned portraits in oil and pencil, of adults, young people and children. She also paints historical pieces in the style of the 17th century. Gale’s work has been exhibited at various groups and solo shows in London and across the South of England. She was selected from among 800 entries to exhibit in the highly regarded Gosport Open exhibition in 2009. She has also exhibited and sold at The Affordable Art Fair in Battersea and Bristol. Gale is happy to accept commissions for portraits, paintings and drawings contact the galley for more information.